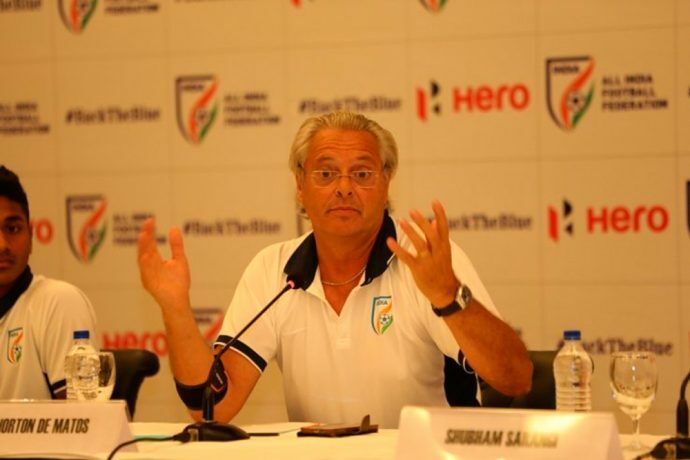 Based on Luís Norton de Matos’ request citing personal reasons to relieve him of his contract with Indian Arrows, the All India Football Federation (AIFF), on mutual understanding has decided to release him of his responsibilities as Head Coach of AIFF’s Developmental Team. In a letter to AIFF, Matos who had coached India in the FIFA U-17 World Cup India 2017 expressed his inability to continue owing to a combination of exigencies on the personal front and an aggravated knee injury that necessitated Matos’ family to stay together in Portugal. “I like to thank AIFF for providing me with the opportunity to work with the National youth team. I thank my staff, my players and wish them the best in their careers. Once my personal issues settle down I shall be more than happy to contribute in the future as and when I can. I have deep affection and love towards India & Indian Football & wish AIFF good luck for future,” his letter further stated. Kushal Das, General Secretary, AIFF thanked Matos for all his support and contribution to Indian Football.